Join University of Minnesota for a day of Poultry Education! Small-scale and backyard poultry is emerging throughout all parts of Minnesota. A variety of topics related to poultry production and marketing will be covered. 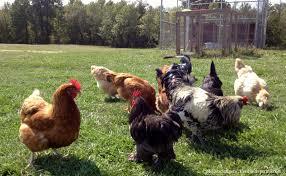 The agenda offers something for both novice and more experienced chicken keepers. $10.00/person or $20.00/household (max 3), lunch is provided. Please pre-register a week in advance. Please PRE-REGISTER for the site nearest you with the county Extension Educator listed.